Break chocolate into small squares and melt in microwave on low heat for 30 seconds at a time until melted. 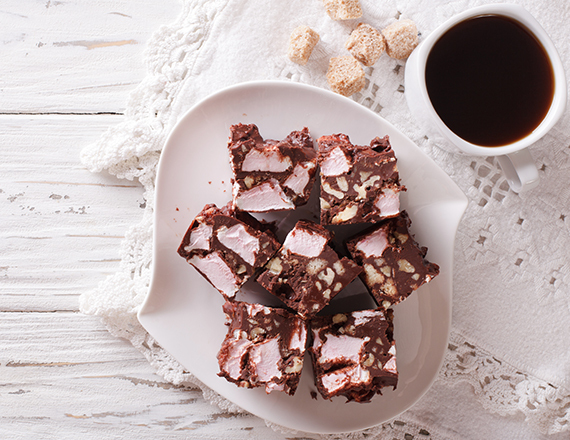 Chop marshmallows, chocolate biscuits and Yotti’s Rose Turkish Delight into small pieces. Place chopped ingredients and peanuts into a bowl. Add melted chocolate and mix through. Pour onto a tray lined with baking paper and place into refrigerator to set. Ready to slice and eat in approximately 30 minutes.